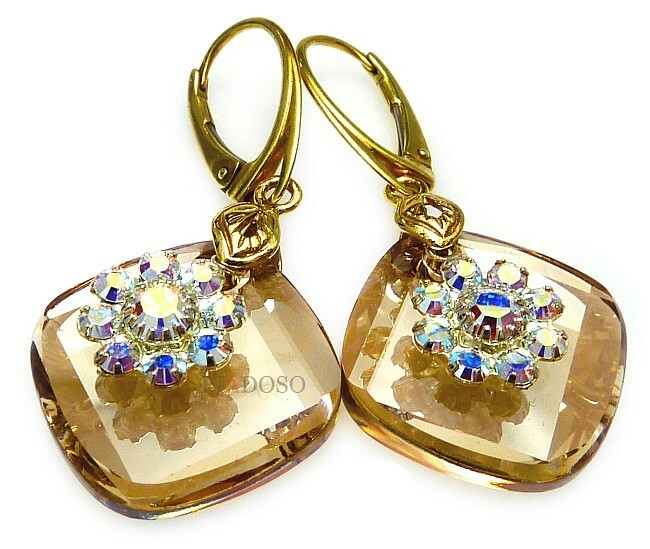 Beautiful Unique Earrings with Swarovski Crystals collection and gold plated silver: METRO GOLD. 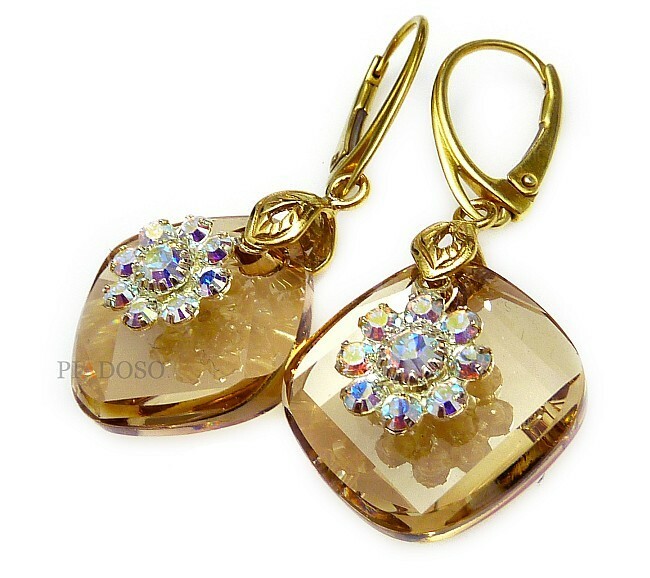 Original crystals METRO in beautiful opalescent GOLDEN color. Unique finishing with world-known sparkling. Crystals with special iridescent effect increasing depth of the color. Added with Swarovski crystals set in gold plated beautiful filigree ornaments. Beautiful long earrings with amazing gloss. Elegant silver clasps and findings made with 24K Gold Plated sterling silver 925 . The stamp is marked on the clasps. Filigrees made with gold plated antiallergic nickle-free metal. Beautiful earrings with stylish finishing and automatic clasp. You can change to open hooks or clipses for free.